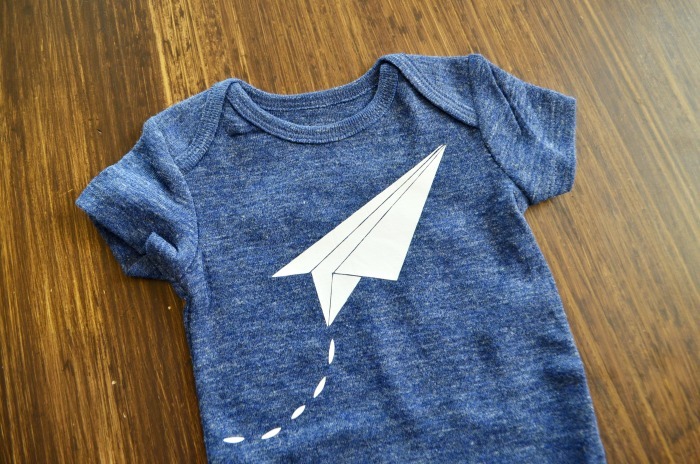 This DIY paper airplane onesie is so FLY! Keep reading to grab the free design file AND an opportunity to craft next week in Phoenix with Cricut. A couple months ago I made my absolute favorite DIY onesie design. The hand drawn design for this paper airplane onesie came from my talented husband. It went to one of my longest and bestest friends whose husband is a pilot. 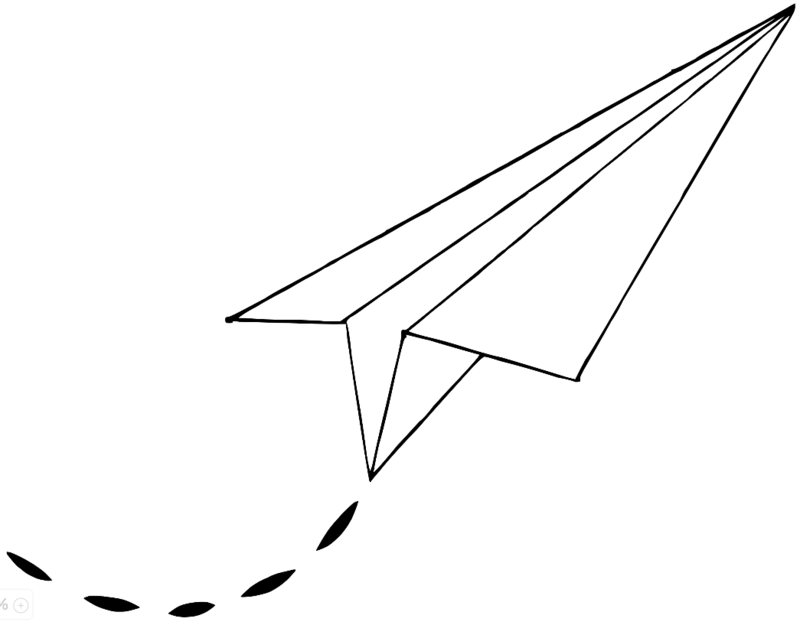 Whether you’ve got a budding little aviator or a plane obsessed kiddo this paper airplane design is easily sized to fit any shirt. All you need is a little heat transfer vinyl, your favorite electronic cutting machine, I’m Cricut loyal, and the paper airplane design file. Once you’ve uploaded the design into your cutting software, sized, and cut you’ll need to press the design onto your shirt of choice. I’ve tried the iron and heat press method, but now there’s a new way with the Cricut Easy Press. Next week I’ll be hanging out in craft heaven with my friends and the Cricut team to help debut all the new products to Phoenix in an interactive day of crafting. We’ll be cutting and designing with the Cricut Maker, weeding with the our designs with the new light board, and setting our HTV designs with the new Easy Press. I can’t wait to test it out. If you love crafting and Cricut come join me next Tuesday. There’s still spots available for the Make Something You Love event in the afternoon session. Hop on over and enter code CRICUTMAKER to save $7! Heat Transfer Vinyl is an easy way to customize your wardrobe and makes amazing gifts too. How cute is the this transportation set I put together for my friend?!?! 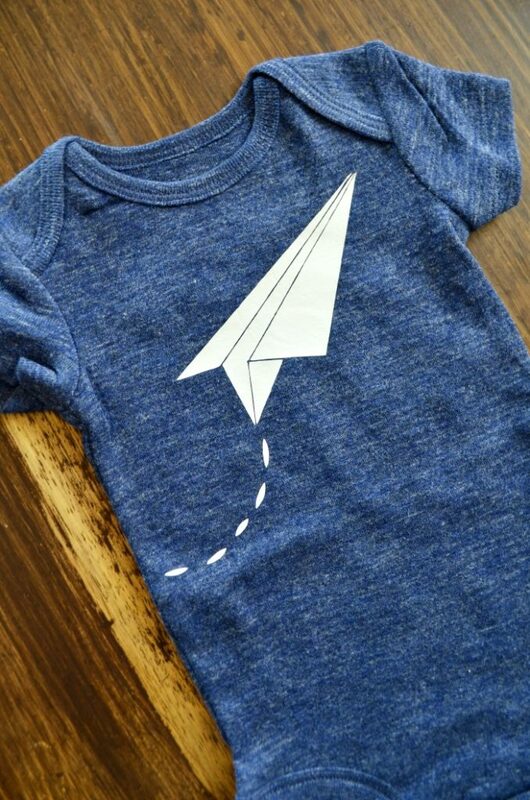 Now to that adorable DIY paper airplane onesie. Grab the file here to make your own. 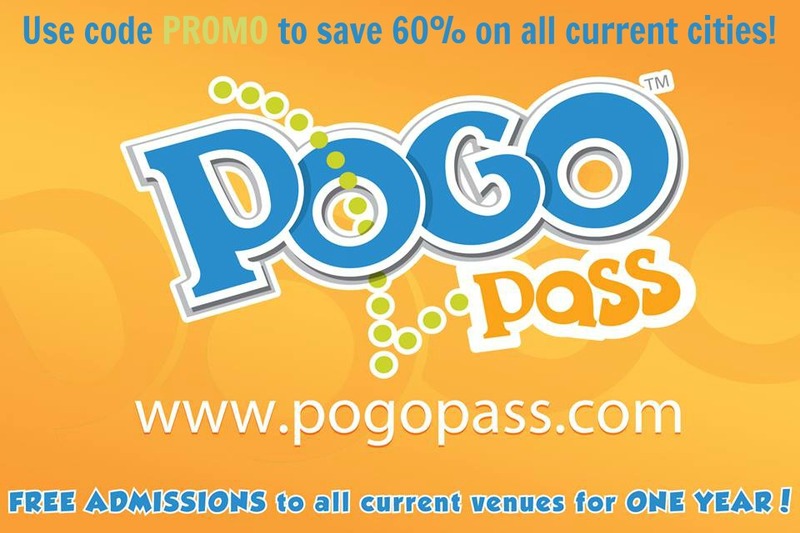 I also think this would be such a fun design in adhesive vinyl enlarged on a wall or painted on canvas. 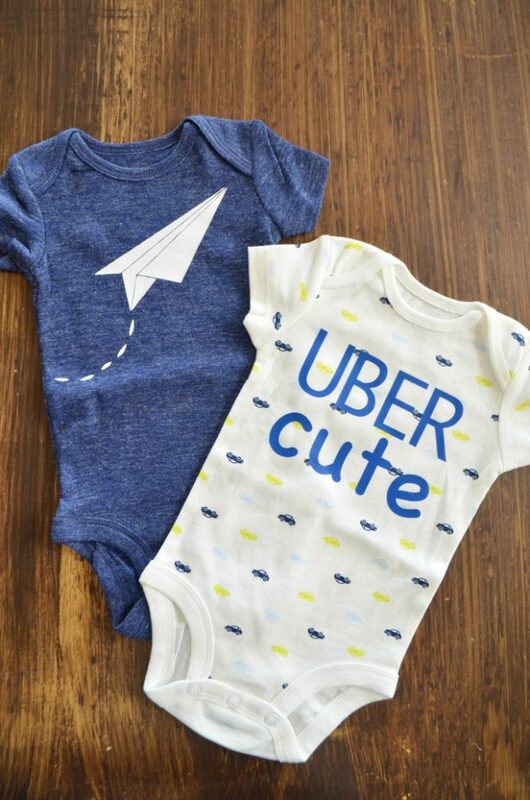 Who will you be gifting a paper airplane onesie to?